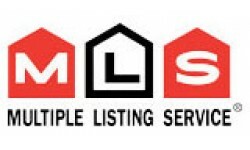 Calgary Realtors reported 1,372 transactions through the Calgary MLS system in the first 26 days of September. In comparison to last year, sales are up by 12%. The average selling price for the period of September 1 – 26 was $418,120 – representing a decrease of 0.6 per cent. Despite strong sales activity this year, Calgary housing market remains affordable. Prices remain relatively stable despite the supply pressure, which probably reflects the reluctance of buyers to over extend themselves while economic uncertainty continues. The Canadian Real Estate Association reported a 6% sales drop for August nationally. This might be due to recent government regulation tightening the mortgage market. Moving forward, improving local economic conditions and historic low interest rate will keep current home prices stable for the remainder of the year and might even push prices higher, by mid 2013.